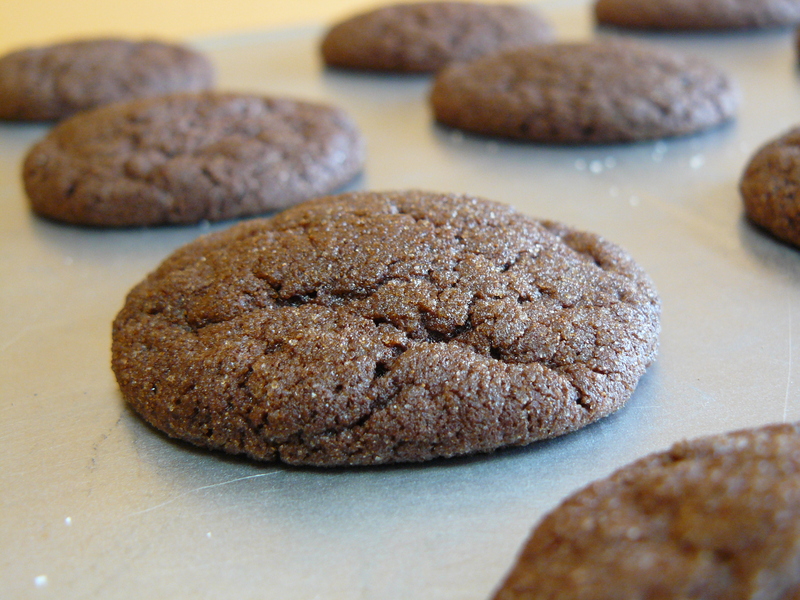 Mexican Hot Chocolate Snickerdoodles–Steady Habits-Style! 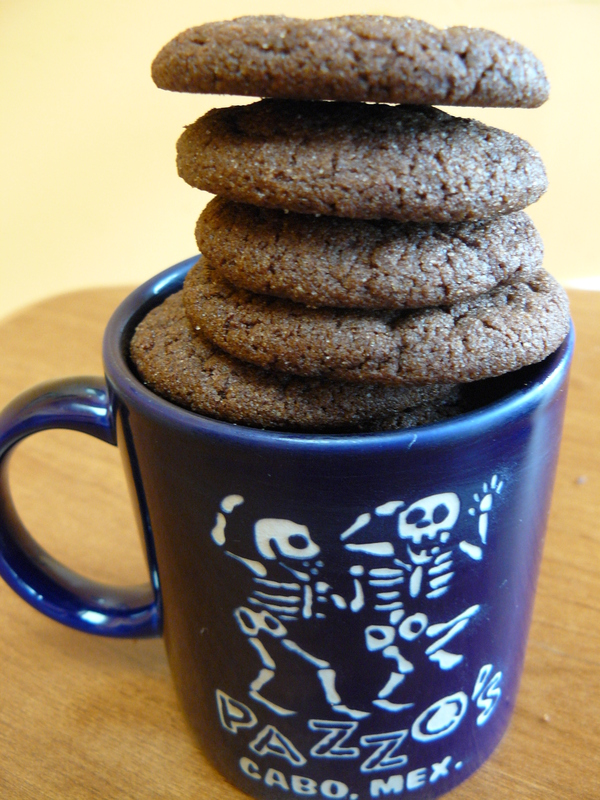 With Cinco de Mayo just around the corner, the idea of a Mexican hot chocolate snickerdoodle caught my attention. Of course, the recipe I saw was vegan and I’m not, so it’s back to the ol’ Steady Habits-style with butter and eggs à la the same trusted recipe I modified for the chai spice version. This time the snickerdoodle gets a Mexi-twist with chocolate, almond extract, ground chipotle and ancho chili powders. ¡Vámonos! The aroma of Mexican hot chocolate as you remove these little treats from the oven is something I wish I could bottle and send your way. Since I can’t, you’ll have to bake a batch for yourself and see. A riff on Mrs. Nelson’s recipe, circa 1975, The Hartford Courant, tested by the Connecticut Light & Power Test Kitchen–with twists, of course, from Katty’s Kitchen! *Thanks to my friend Joanna for explaining this is a double-acting baking powder, incorporating both baking soda and cream of tartar. Cream sugar, shortening, extracts and eggs. Add dry ingredients. Combine and chill in the fridge for approximately 1.5 hours. 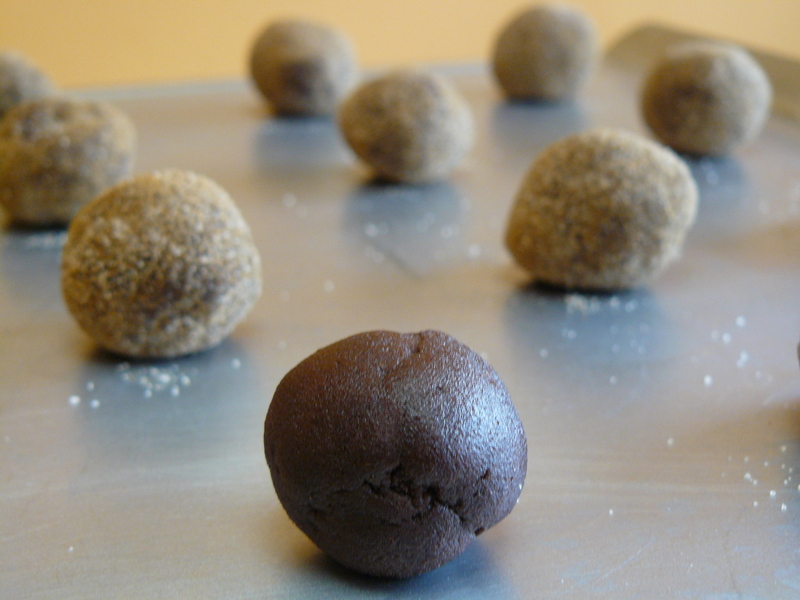 Use rounded teaspoonful of dough to form small balls. Roll in sugar ‘n spice mixture. Place on ungreased cookie sheet about 2 inches apart. Bake at 375 degrees F about 9 to 10 minutes. Oh my, Katty, I can smell the aroma from here! Yum. The addition of chili is brilliant. Thank you, Roti n Rice and Joanna! The chili definitely adds a very interesting and welcoming little bite. Hey Katty!! What the heck kind of baking powder did you use? Where are you shopping at Liuzzi’s again??!! HEE HEE–no, Public Market in Middletown, though I’m sure Liuzzi’s has it, too. 😉 My mom came back from Italy all psyched about this stuff and now our little local Italian market carries it. I’m so excited you’re making these. Mine are all gone now. MOO. I want one with a nice cup of cold milk (not even my usual soy milk–these require me to delve into the real milk!). I love the combo of sweet & spicy. Great recipe, I would like to try these.